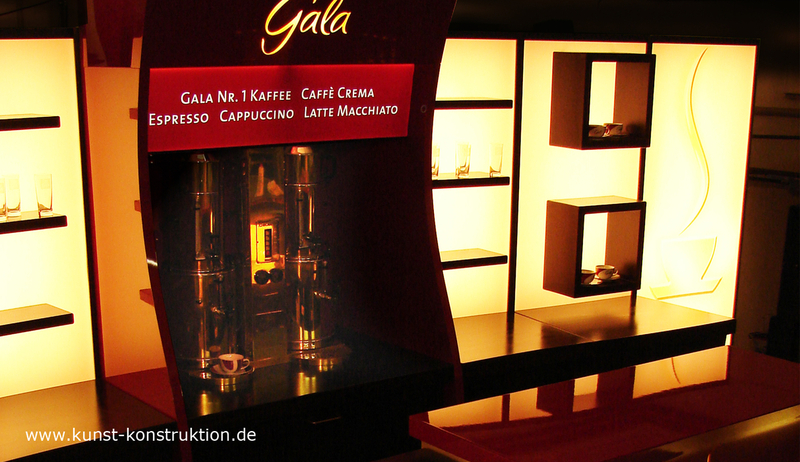 A piece of brand world in exquisite wood stages coffee house atmosphere and impresses not only through its imposing size and charisma, but it fulfills its useful functions. 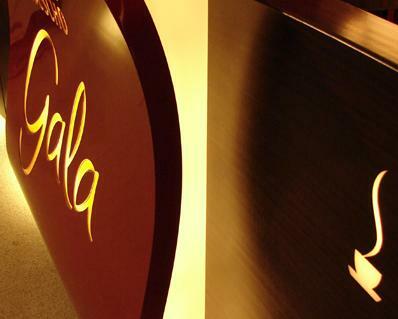 It can be built in different sizes and is a guarantee for success in the implementation of your mobile brand image through its clever logistics concepts. 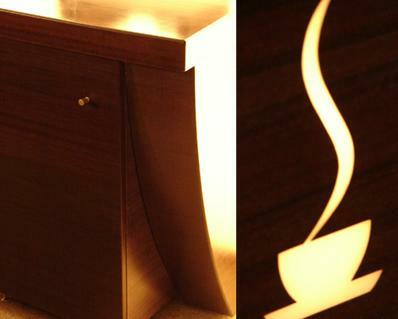 It provides ideal working conditions for the crew. 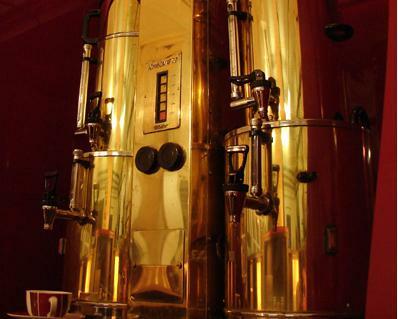 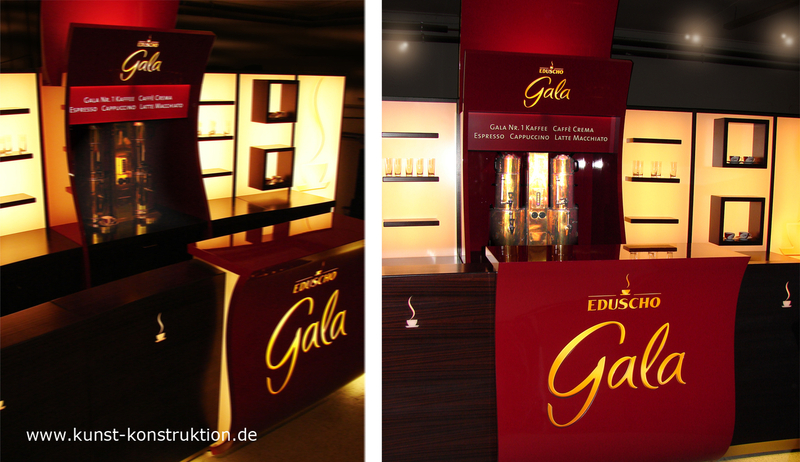 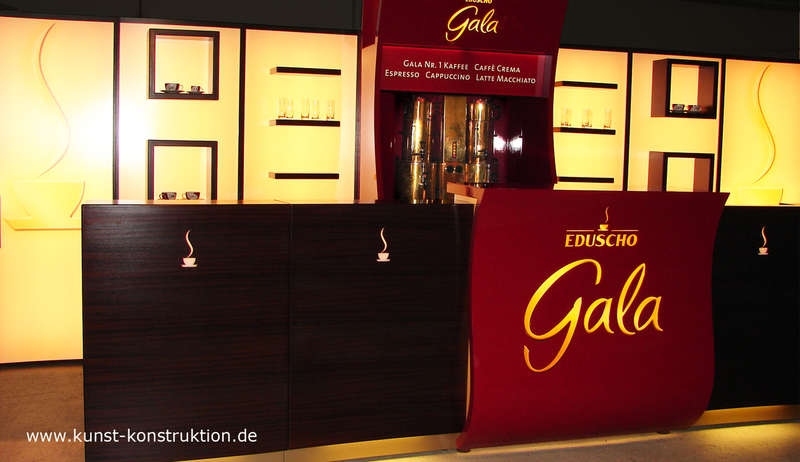 The coffee brand Gala von Eduscho presented their brand with our equipment at the Bambi Awards, the Golden Camera and the national German press ball.